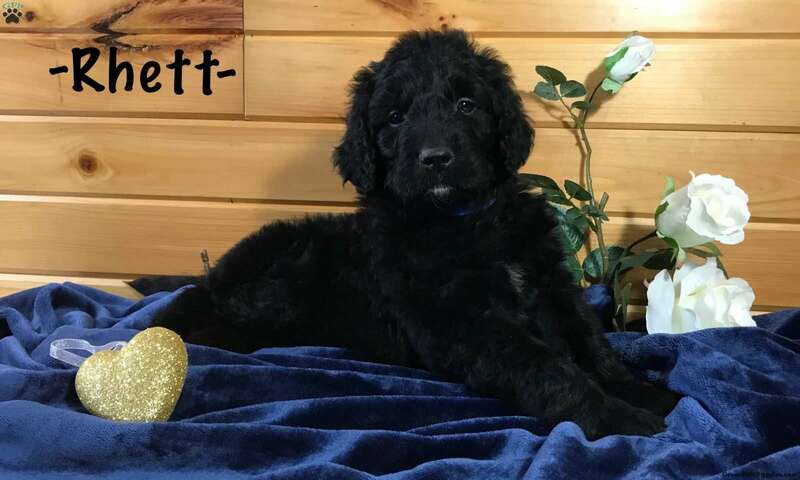 Rhett is a gorgeous and charming black Newfypoo Male. He is family raised and well socialized. He will be vet checked and is updated on his vaccinations and dewormer. Call 330-600-8444 or text 330-844-0775 if you would like to make this sweet puppy your own! 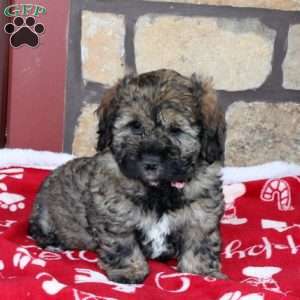 A $200.00 deposit is required to hold the puppy, please contact the breeder for more information. 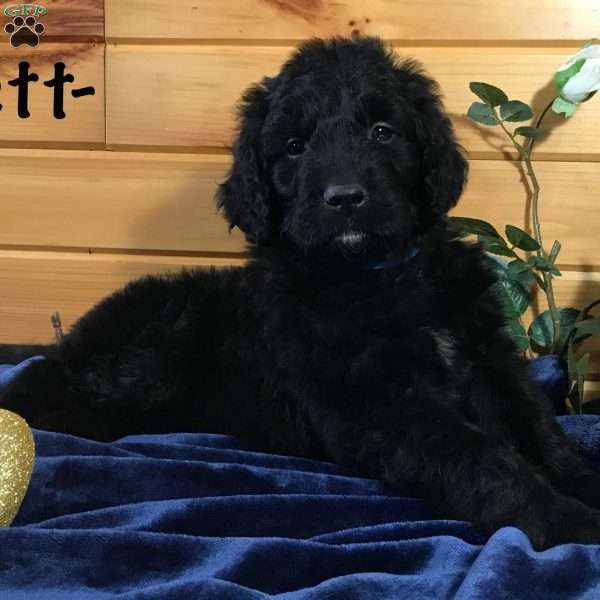 Merlin & Rosie Hershberger are breeders located in Wilmont, OH who currently has a cute litter of Newfypoo puppies. 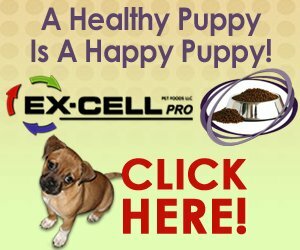 These great pups are vet checked, up to date on shots and wormer, plus comes with a health guarantee provided by the breeder. To find out more about these lovable pups, please contact Merlin & Rosie today!